This is one of those “does what it says on the tin” kinda items; it’s a candy skull pendant made from solid 9ct Yellow Gold. Unfortunately, the chain doesn’t come with the pendant as standard, but you can add it on for a price. I’m a fan of candy skulls, and personally I think this makes for a great pendant. 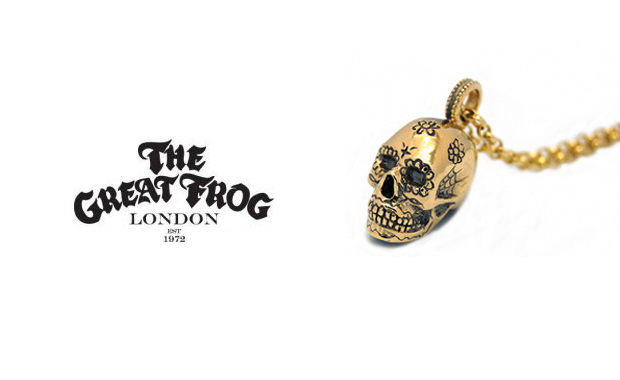 The 9ct Gold Candy Skull Pendant is available in-store and online from The Great Frog now for £330 (also available in Silver).